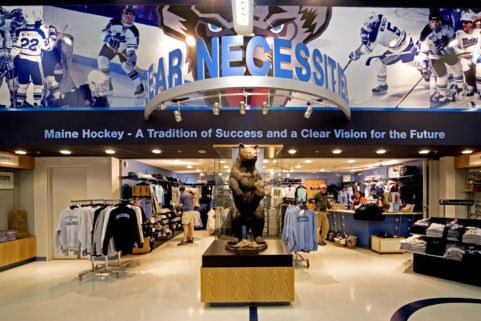 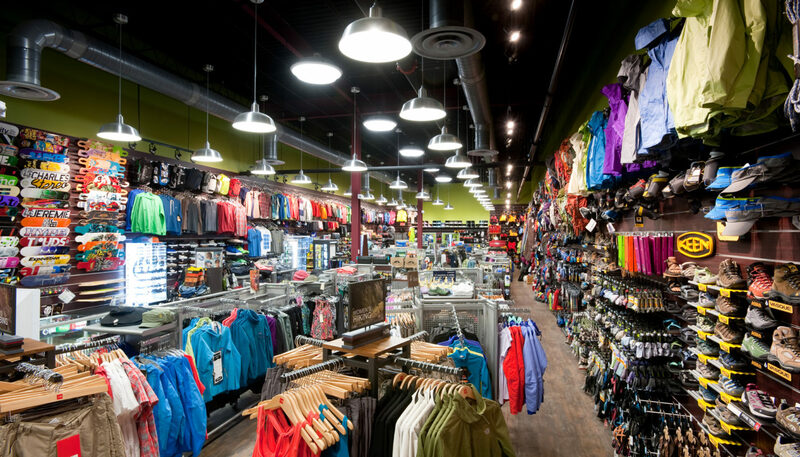 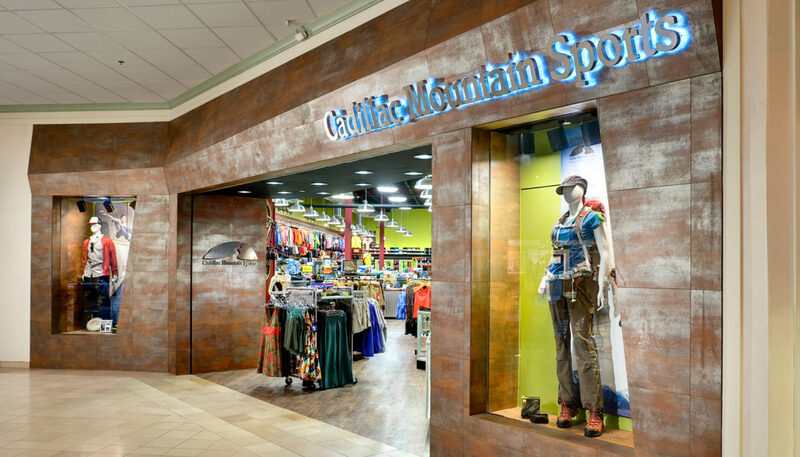 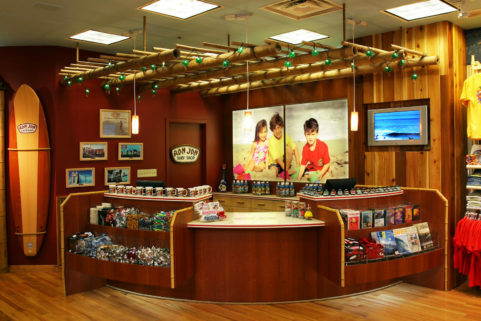 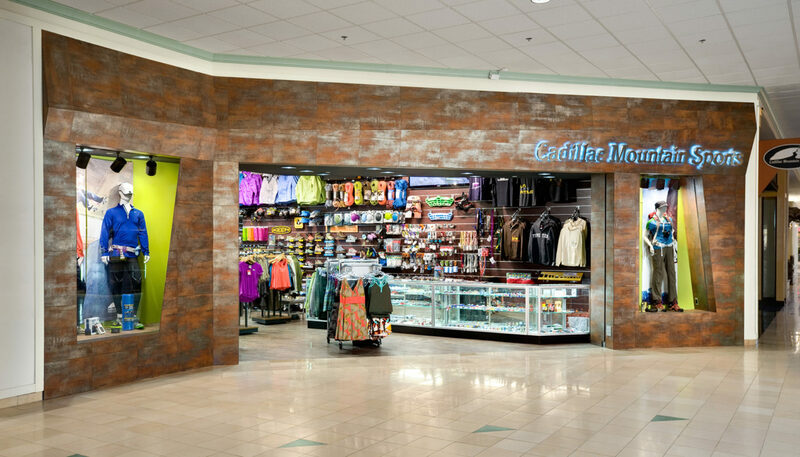 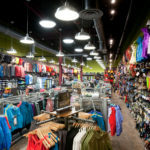 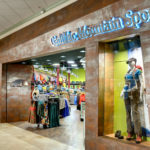 Cadillac Mountain Sports is a well-known Maine brand with a loyal following of athletes and outdoor sports enthusiasts who demand high performance clothing and equipment. 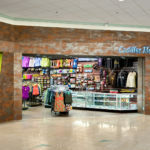 The client wanted a redesign for its new Bangor Mall location that would inspire shoppers to branch out into new colors, patterns, and textures. 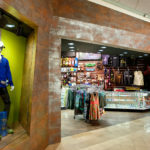 A handsome copper-like façade serves as an eye-catching frame to the shop’s bright, jam-packed interior. 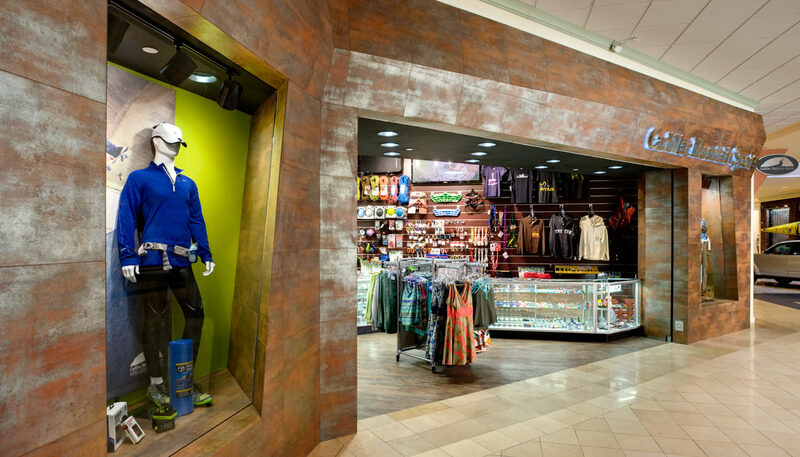 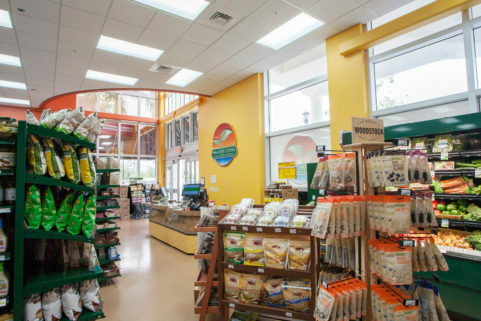 Versatile lighting, built-in video display fixtures, customized shelving, and concealed security system help staff keep inventory stocked safely and attractively, all while conforming with Bangor Mall store design standards.